AUSTIN, TX — Realty Austin, the #1 independent residential real estate firm in Austin, upgraded its look with the release of a modern logo, polished signs, upscale brochures, a refresh on the #1 home search website, realtyaustin.com and a new iOS and Android mobile home search app. The company unveiled its new designs at a private celebration exclusively for their agents at the Austin Board of Realtors on Thursday, November 29, 2018. Co-owners, Jonathan and Yvette Boatwright, revealing the new Realty Austin logo to agents and employees on November 29, 2018. Realty Austin was formed in 2004 with a strong belief that a brokerage must be something more than a place for agents to hang their license. The company cultivates a smart and collaborative work environment, and is laser-focused on raising the bar in real estate by hiring only experienced, full-time and productive agents who are dedicated to providing outstanding representation to every single client. 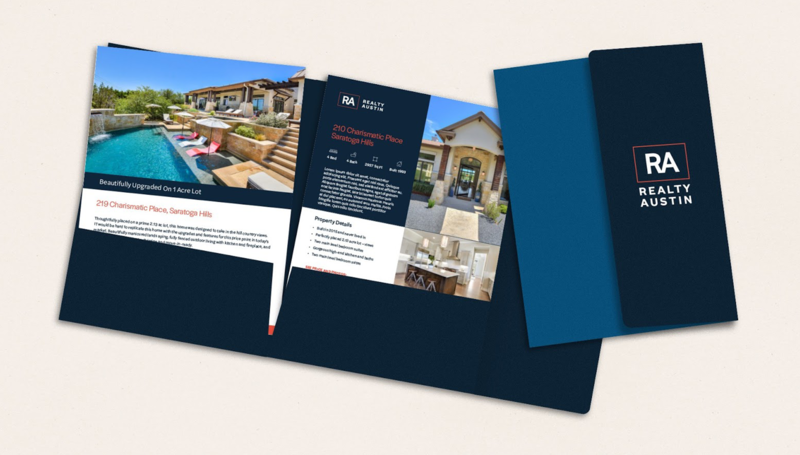 Motivated to incorporate those principles into a new brand for the future, co-owners Jonathan and Yvette Boatwright worked with the top real estate brand agency, 1000watt, to craft the perfect new identity to represent the next generation of the brokerage. Raising the bar in real estate, Realty Austin agents offer premium services. 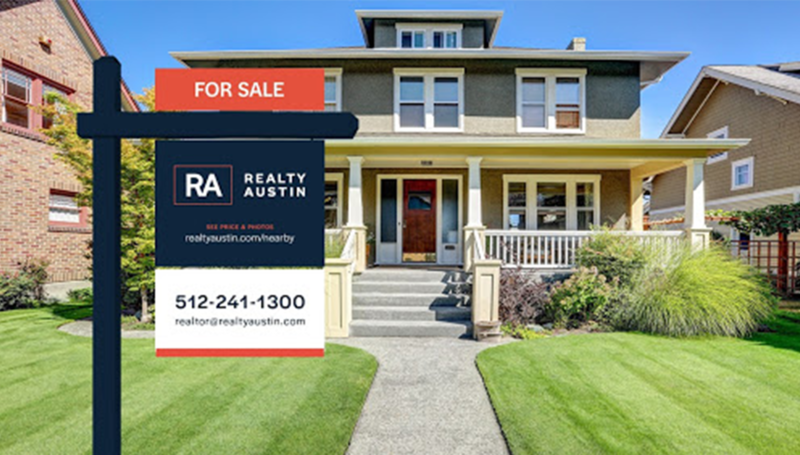 Already wildly successful with its existing logo and branding, Realty Austin is known for implementing revolutionary ideas that lead the real estate industry today. Retaining elements of their original colors, blue and orange, that honor its local roots, the company emphasized its staying power by stamping their name on the future of the real estate industry with a bold new mark. 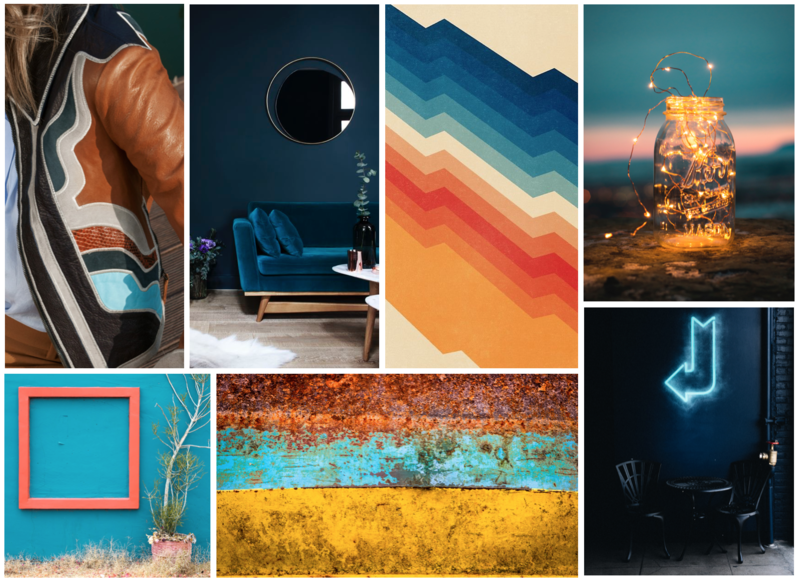 Inspired by their homegrown culture, the Realty Austin color foundation maintains their native orange and blue palette. 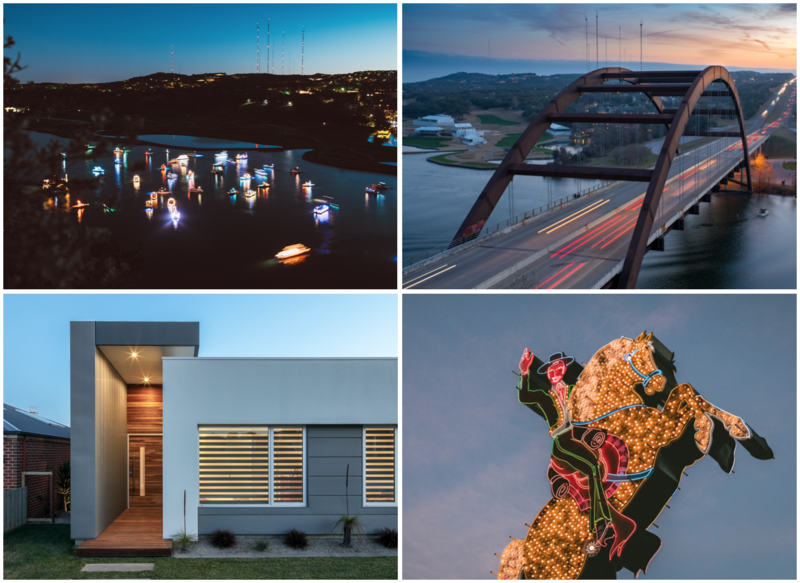 Established in Austin, Realty Austin is proud to serve the community that it has grown up in and is Inspired by the beautiful hill country, waterways, and modern and eclectic culture. This imagery inspired the rebrand designs. 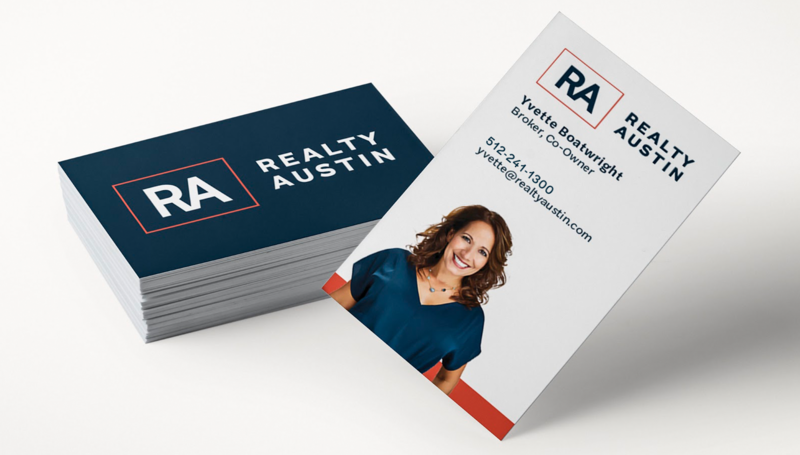 Phase one of Realty Austin’s rebrand includes updated and polished yard signs. Jonathan Boatwright said, “Unveiling our new brand completes the first phase of our ambitious game plan that will further set us apart from our competition. By powering the most professional group of agents in Austin with our proprietary technology and systems, we are making the buying and selling experience more transparent, enjoyable and predictable for our clients. 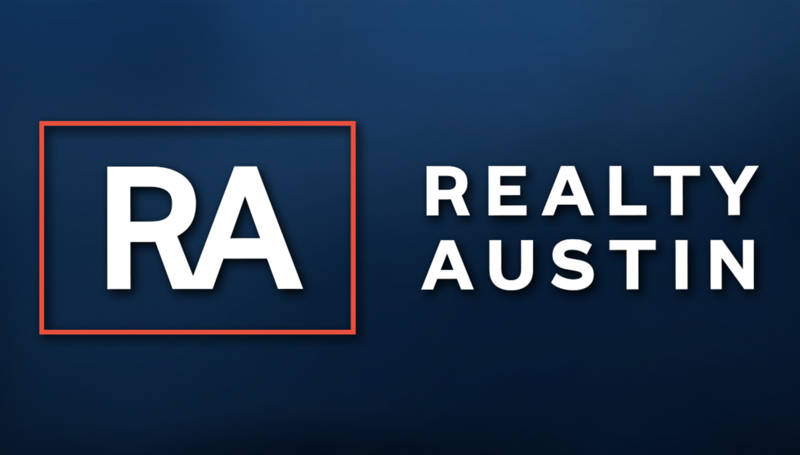 Known as the ‘original market disruptor’ in Austin, Realty Austin built one of the first online lead generating websites in 2004 and was among the first brokerages to adopt a CRM and marketing automation platform in 2005. In 2007, the brokerage built their own transaction management platform and became one of the fastest growing companies in Austin. Many times over, the company has been recognized as one of the Most Innovative Brokerages in the U.S. by Inman News for being a creative visionary who pushes the boundaries. The results speak volumes. Realty Austin agents help their clients buy and sell more homes per agent than any other large brokerage in Austin, achieving $2.6B in sales volume in 2017. Realty Austin has been recognized as one of the Most Innovative Brokerages in the U.S. by Inman News. 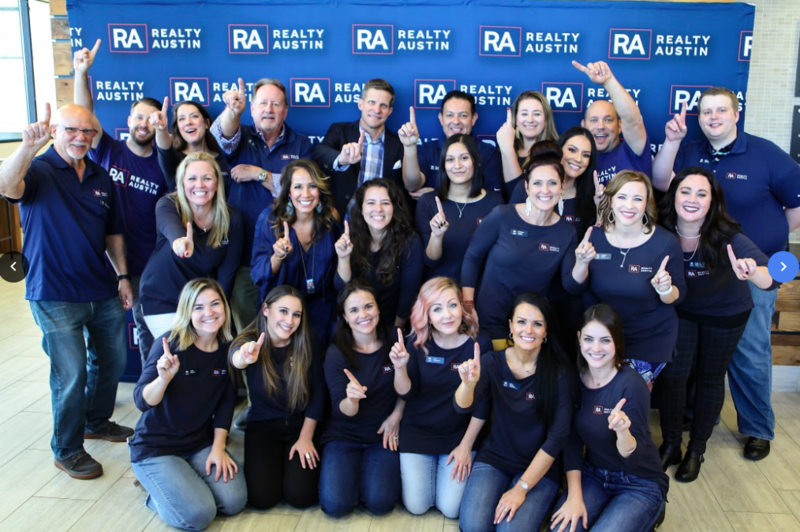 Realty Austin leadership and employees, photographed November 29, 2018 at their rebrand launch event. Going forward, the next phase of the company’s rebrand involves remodeled interiors and exterior signage at their current and upcoming Agent Success Centers, strategically located in central hubs across Austin: north at Lakeline, central at the Triangle, south at Lantana Place, east at Mueller and west at Davenport Village and Lakeway. Today Realty Austin has grown to a team of 450 agents and 31 support staff who give back in meaningful ways to help with the housing affordability problem in Austin. Each year, Realty Austin agents build an Austin Habitat for Humanity home, and donate more than $200,000 of their commissions to support Austin Habitat for Humanity, Foundation Communities, Austin Children’s Shelter and Community First Village.